"Tamara's twenty years of experience with syndicators and investors, will add a valuable dimension to our Affordable Housing practice," said Byron Rodriguez, a partner in the firm's Affordable Housing and Community Development Practice. PALO ALTO, Calif., Sept. 16, 2015 (SEND2PRESS NEWSWIRE) — VLP Law Group LLP is pleased to announce that Tamara L. Osborne has joined the firm’s Affordable Housing & Community Development Practice as a partner based in Los Angeles. Ms. Osborne represents syndicators, direct investors and developers in connection with a wide range of affordable housing and other transactions utilizing federal and state low income housing tax credits, federal and state historic tax credits, and new market tax credits. Her experience includes drafting and negotiating lower-tier and upper-tier partnership agreements and negotiating bond and loan documents. She is also experienced with work-outs of distressed assets, post-closing/asset management matters, partner disputes and end of compliance project dispositions. Prior to joining VLP, Ms. Osborne was Senior Vice President in the equity production group of a large national syndication company. In private practice, Tamara was one of the founding partners of Bocarsly, Emden, Cowan, Esmail & Arndt. She graduated with honors from the University of Arkansas, Little Rock, School of Law, and holds a B.A. in History from the University of Arkansas, Little Rock. Ms. Osborne is a member of the California and Arkansas bars. Founded in 2008, VLP is a business and transactional law firm that delivers top quality legal services from experienced attorneys through an efficient platform. Our practice reaches across many industry sectors, including high tech, life sciences, clean tech, retail, consumer products, edtech, and real estate. VLP has continued its strong growth, and is made up of noted attorneys with significant experience who believe VLP’s unique, client-oriented model is the best platform for their practice. Our partners are regularly recognized by their peers as outstanding attorneys, and the firm has been recognized as a top company for its promotion of quality of life in the workplace. Our unique model means that we can provide sophisticated, focused services to our clients, and we can do it at competitive rates. 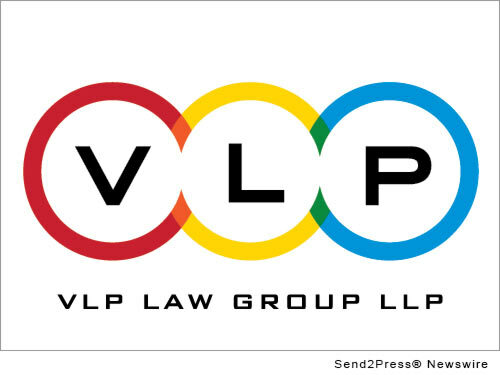 For more information about VLP, visit: http://www.vlplawgroup.com/. Original Keywords: Tamara L. Osborne, Byron Rodriguez, Housing and Community Development Practice, Virtual Law Partners VLP Law Group LLP Palo Alto California PALO ALTO, Calif.
REFERENCES: Business News, Tamara L. Osborne, Byron Rodriguez, Housing and Community Development Practice, Virtual Law Partners VLP Law Group LLP Palo Alto California PALO ALTO, Calif.